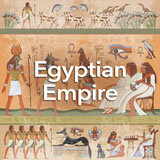 Students delve into history of ancient Egypt‚Äôs Old Kingdom, when the growing nation became a truly great civilization. They begin by encountering the gods and goddesses of ancient Egypt. They proceed to examine the pyramids, which the pharaohs built as tombs and to honor the gods. Finally, students analyze the entire social structure of the kingdom. In this experience, students delve into history of ancient Egypt’s Old Kingdom, when the growing nation became a truly great civilization. They begin by encountering the gods and goddesses of ancient Egypt. They proceed to examine the pyramids, which the pharaohs built as tombs and to honor the gods. Finally, students analyze the entire social structure of the kingdom. 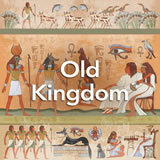 The additional resource The Old Kingdom in the Student Pack is especially useful for facts about dynasties, important individual rulers, and chronological sequence of achievements. 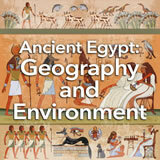 Describe the social, political, and economic development in Egypt’s Old Kingdom. Explain the role and practice of religion in ancient Egypt. Ancient Egypt’s history is thousands of years long. 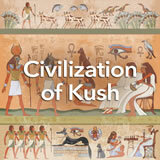 This experience takes you into the Old Kingdom (c. 2650 B.C.E. to c. 2150 B.C.E. 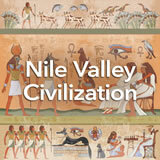 ), the period when the kingdom by the Nile grew to be one of the greatest civilizations Earth has seen. To know a culture, one of the most important questions to answer is, “Who were their gods?” Let’s begin with a story about the ancient Egyptians’ gods and goddesses. 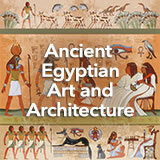 Read The Gods and Goddesses of Ancient Egypt. Read the introductory page, then click the Story link to continue. Possible responses include many gods, polytheism, fun, creation, myths, family of gods. Imagine there’s a video game in which the Egyptian gods and goddesses are the main characters. Which two gods or goddesses would you most like to play as? Why? If you have some knowledge of video games, you might want to provide your own answer for the class. However, avoid letting the conversation digress into discussion of commercial games.